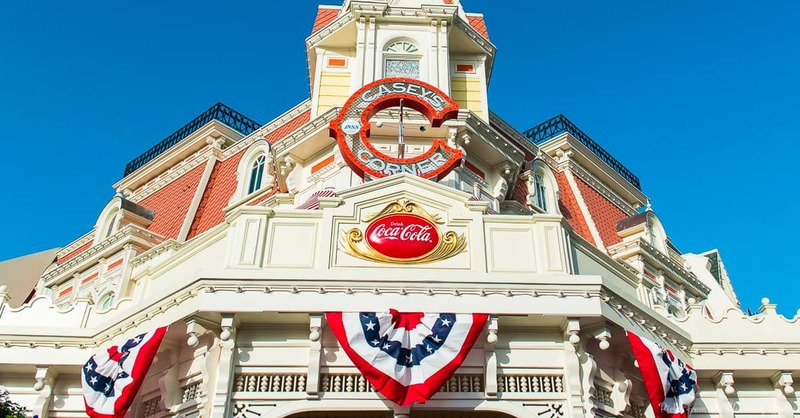 Those who are looking for an American classic served in a quick service location with a unique theme can stop at Casey’s Corner on Main Street in the Magic Kingdom. The quick service location is themed to feel like an old time baseball venue complete with memorabilia on the walls and baseball commercials and cartoons playing. Like a traditional baseball game, Casey’s Corner serves up the classic hot dog in many styles including the Chili-Cheese All-Beef Foot Long Hot Dog, Bacon Macaroni & Cheese All-Beef Hot Dog, Plant-Based Dog, and Corn Dog Nuggets.